We are one of the leading manufacturers, exporters and suppliers of Edge Board Notcher from Suzhou China. This Wrap Around Edge Protector is mainly used to protect coil and the other round items. It has different distance of saw tooth. Our machine promises reliability and durability and is manufactured in adherence to set industry standards. We also undertake bulk orders for Edge board Notcher. Simple operation with most effective production to take place of manual job. The wrap around edge board mainly for protecting of round good, like steel roller. 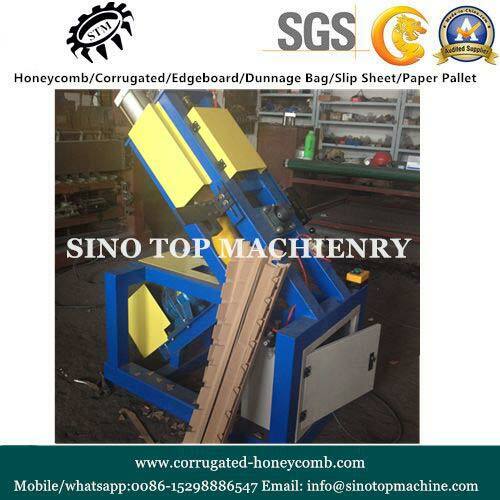 We also call it edge Board recutterï¼� edge protector notcherï¼� angle board rotary punching machine and edgeboard Protector V cutterï¼� this machine should be cooperats with V shape edge protector machine. You many also visit www.sinotopmachine.com for more information.